Professor Dame Wendy Hall often recalls the early discussions around the formation of Web Science and Tim Berners-Lee’s suggestion that it be called PsychoHistory. For anyone who hasn’t read Isaac Asimov‘s Foundation series PsychoHistory is a fictional science which combines the social sciences together with mathematical statistics to make general predictions about the future behaviour of very large groups of people. In 2006 this was a pretty revolutionary idea, but now in 2017, with all of the emerging revelations about how Facebook and the other Tech Titans have been harvesting and exploiting peoples’ data, the idea doesn’t seem so far fetched. The Web is now the largest information construct ever developed in human history, and it is evolving at a rapid pace, being fed by increasing data sources, fueled by increasingly powerful computing machinery, and sculpted by increasingly intelligent artificial machines which communicate with and learn from each other. The current awakening of the regulators and general populace to the fact that people like Mark Zuckerberg have amassed unprecedented wealth built upon the naivety of the “dumb fucks who submitted their data” is just one manifestation of the bigger issues at stake globally. the fact that these technology creators lack the leadership skills to manage what they have created and the social context around it. There are very few Tech Leaders who appreciate the enormous responsibility that they have been given – either consciously or unconsciously – by those who have invested data in their products and platforms. 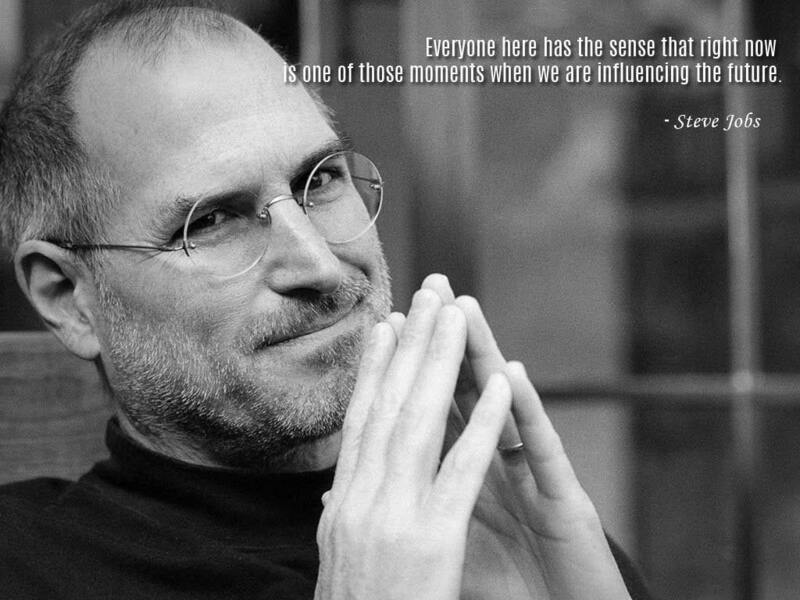 Steve Jobs did and he was a relatively lonely voice in stressing the importance of making sure people knew what is happening with their data as being something of the highest priority. In all walks of life there are leaders and followers and I believe that never have we need Servant Leadership as much as we do now. The servant-leader is servant first… It begins with the natural feeling that one wants to serve, to serve first. Then conscious choice brings one to aspire to lead. That person is sharply different from one who is leader first, perhaps because of the need to assuage an unusual power drive or to acquire material possessions … The leader-first and the servant-first are two extreme types. Between them there are shadings and blends that are part of the infinite variety of human nature. As people invest more and more of themselves – their personal data, their thoughts, hopes and dreams – in creating their digital selves, so those who frame the technical systems must think about serving rather than leading. What does an individual really need to learn and develop to be an effective 21st Century leader? Many people are talking about the parlous state of leadership around the world at the minute in every sector and Edelman’s research shows that we live in a world of seemingly stagnant distrust. For many years I worked with colleagues Peter Thompson and Leanne Fry to try to promote digital literacy amongst emerging leaders through programmes held by the Australian and New Zealand School of Government. Unfortunately, like so many things that I have done in life, we were too far ahead of the market, and whilst many people working in the public sector were becoming aware of the value of what we had to offer unfortunately ANZSOG was unable to truly step up and lead rather than focus on its own short term commercial imperatives. In my search for who really is stepping up I took myself to the Harvard Kennedy School to participate in their Leadership for the 21st Century programme which is largely based on the work of Ronald Heifetz and the practice of Adaptive Leadership. Heifetz states that a part of the work of leadership is to ask hard questions and knock people out of their comfort zones. Then they manage the resulting distress. I see this not only at Harvard, but in many of the leadership courses taught around the world. However, there is a glimmer of hope which I found when I went back to Harvard this February to participate in the first iteration of Professor David Eaves new programme Digital Transformation for Government. Digital technologies matter because our society, our economy, and our organizations have—for better and worse—become digitized. If policy makers and public servants can’t understand what this means, how it alters the production of public goods, or its impact on management, regulation, the economy, and policy, we are in trouble. From this he has crafted a course which addressed many of the fundamentals underpinning digital transformation including privacy, identity, cybersecurity, cryptocurrencies and the management of change. How is digital reshaping and sculpting the balance of power and influence between the different sectors of human societies of the 21st Century – Government, Business, Third Sector – and what does this mean for current, emerging and future leaders? In many parts of the world, and Australia in particular, there is a distinct lack of robust conversation and respectful debate around the really challenging and confronting issues. Not only does the Facebook example demonstrate this but so do the current banking and financial scandals in Australia. Our values are at the core of what it is to be human, and a recent Harvard paper highlights precisely the point I made during the Harvard course. At some point in our history, probably with the advent of language, leadership acumen transitioned from physical to cognitive skills, putting a premium on intelligence and expertise at the expense of force and strength. By the same token, one would expect the current AI revolution to commoditize and automate the data-driven aspect of leadership, delegating the soft elements of leadership to humans. Consistently, our research suggests that, in an AI age characterized by intense disruption and rapid, ambiguous change, we need to rethink the essence of effective leadership. Certain qualities, such as deep domain expertise, decisiveness, authority, and short-term task focus, are losing their cachet, while others, such as humility, adaptability, vision, and constant engagement, are likely to play a key role in more-agile types of leadership. But I don’t actually think this is enough. Leaders need more than soft skills. They need to much more fully understand the power of the technologies around them and harness them for our collective benefit rather than trusting their technical advisors to do the work for them. One place to look for the essential skills is history, which is also what Azimov sought to do. There are many great leaders – albeit mostly male – about whom much has been written and recorded, but I am going to end this piece by reflecting on my own observations of one of the great Islamic leaders, Saladin. From my reading of Saladin’s life through the eyes of Tariq Ali there were a few very special qualities that the great leader had which are as relevant and important today as they were then. These include humility, temperance, modesty, integrity, loyalty, authenticity and empathy. One other thing that really stood out for me was that Saladin was an experienced, knowledgeable and confident in handling horses, which were the primary technology of his day. He knew how to handle them, to breed them and to care for them and when he rode them they became an extension of himself. Reading this I thought about the direction in which our technologies are taking us, and with the image of Saladin mounted on his horse in mind I realised that this is precisely what we are doing now. As our machines are becoming more extensions of ourselves we must learn how to handle them, how to care for them, their pedigree and provenance, and to predict their behaviours. This is what Steve Jobs understood (although I would not clarify him as being a Servant Leader) and is evident in how he designed the products that Apple produced. And this is also why the world is all the poorer for not having him around to help guide through the current complexities as our machines become more and more powerful. As we are gathering more and more data about the world around us – and ourselves – we are becoming increasingly reliant on our machines to help us make sense of it, and to make decisions on our behalf. Technology is like a God itself. We can’t impact it, we can’t stop it, we feel powerless. (Jonathan Nolan, Writer/Director). Taken from Chris Paine’s documentary Do you trust this computer? Two key leaders in Computer Science understood this and state this far more eloquently than I can. The applications of science have built man a well-supplied house, and are teaching him to live healthily therein. They have enabled him to throw masses of people against one another with cruel weapons. They may yet allow him truly to encompass the great record and to grow in the wisdom of race experience. He may perish in conflict before he learns to wield that record for his true good. Yet, in the application of science to the needs and desires of man, it would seem to be a singularly unfortunate stage at which to terminate the process, or to lose hope as to the outcome. (Vannevar Bush, As We May Think). We spend a lot of time and energy stressing the need for our leaders to understand people. When it comes to framing the future if they don’t understand what shapes it then they are devolving their responsibility to a narrow group of technical experts rather than representing the broader constituency of all humanity. Leaders must also understand the machines.